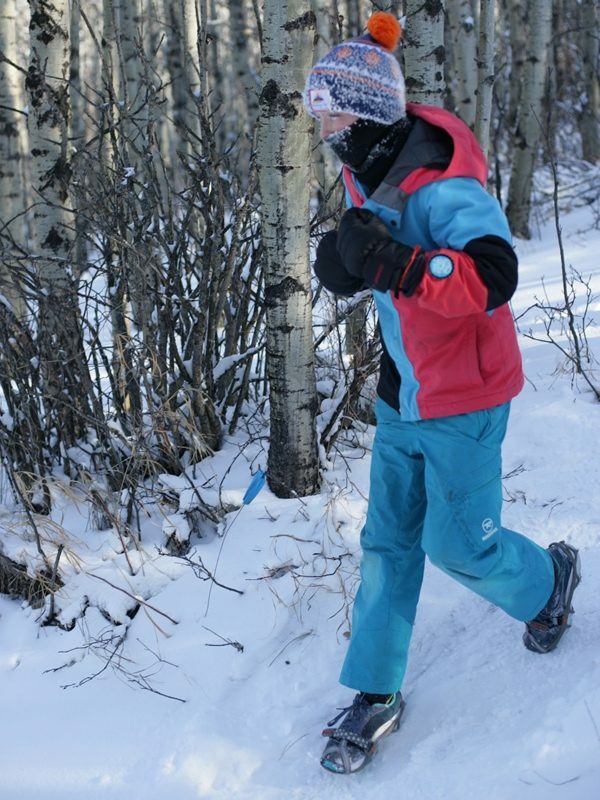 Kids Race is about 1 km in distance. 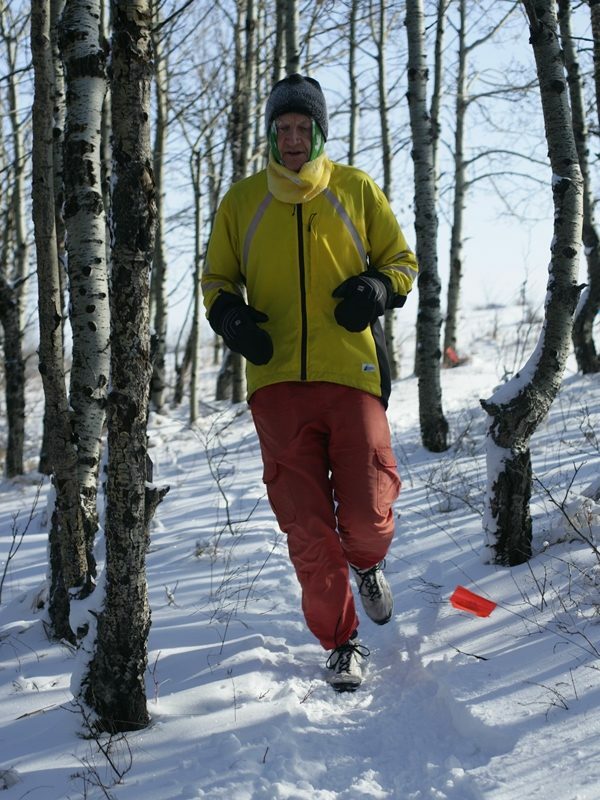 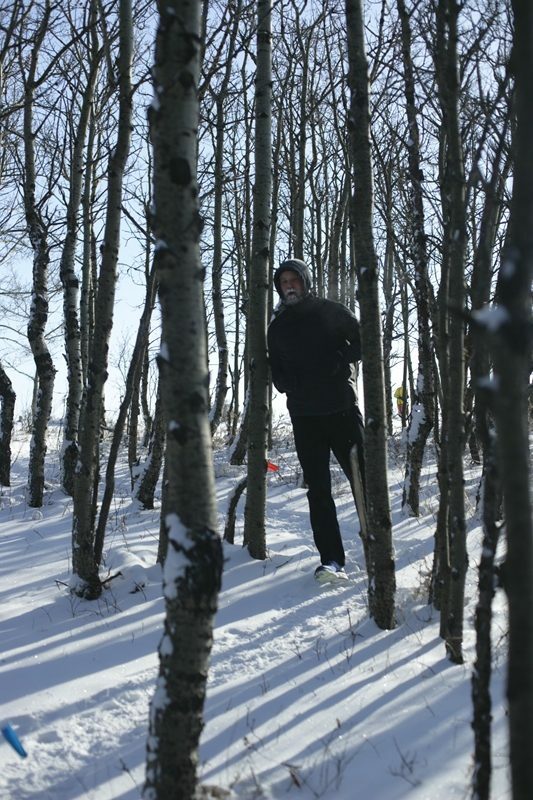 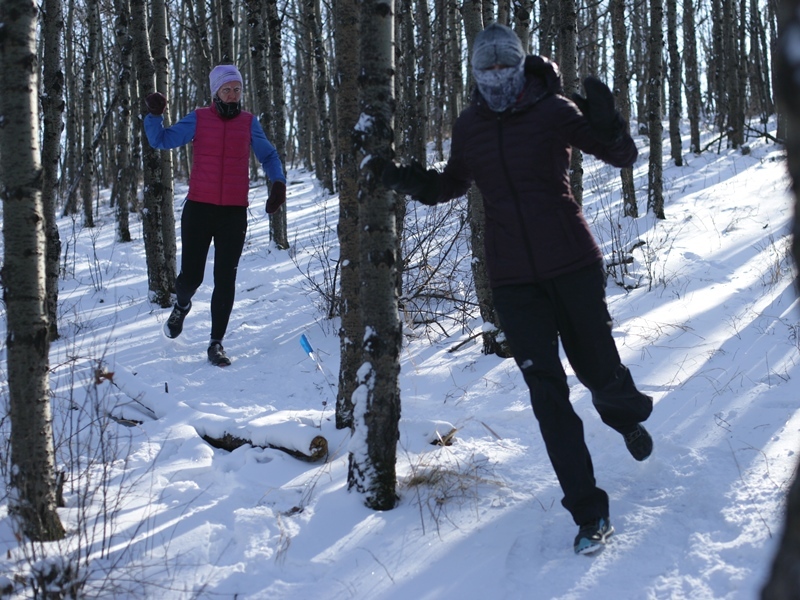 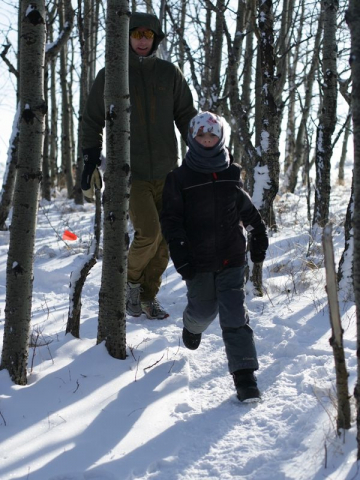 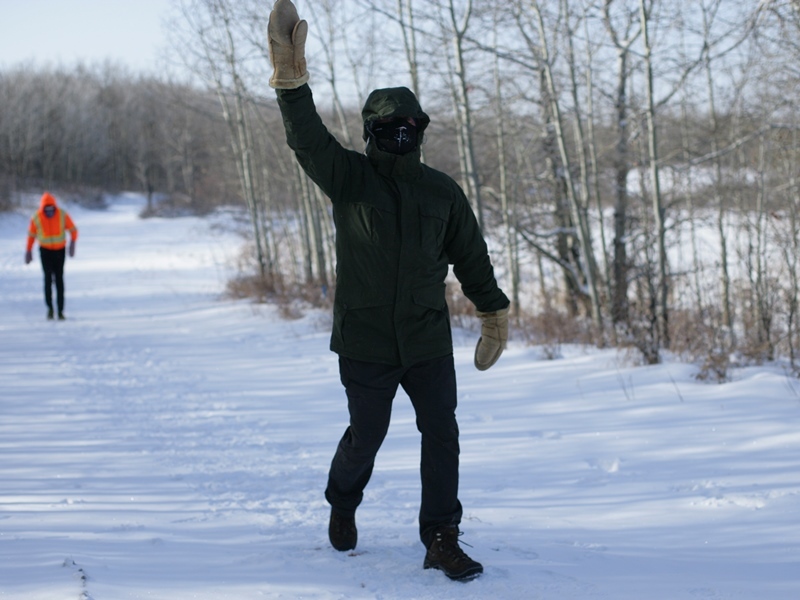 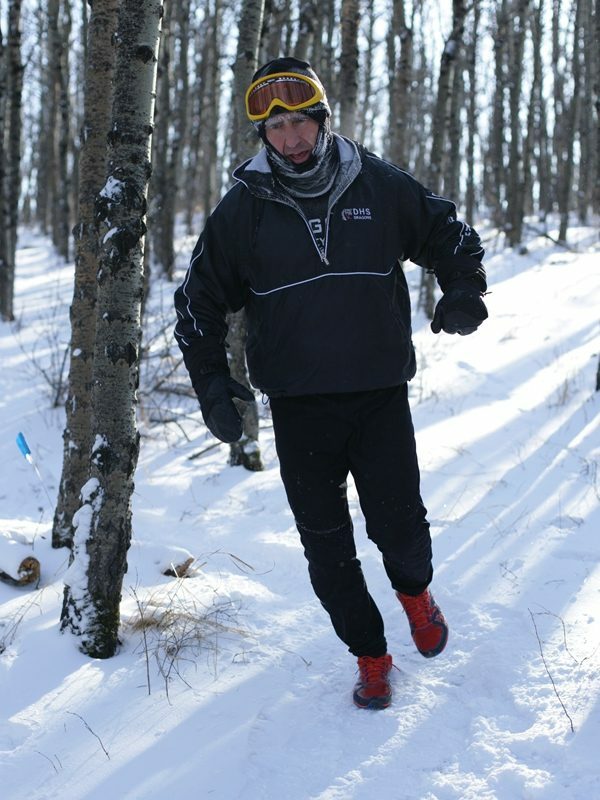 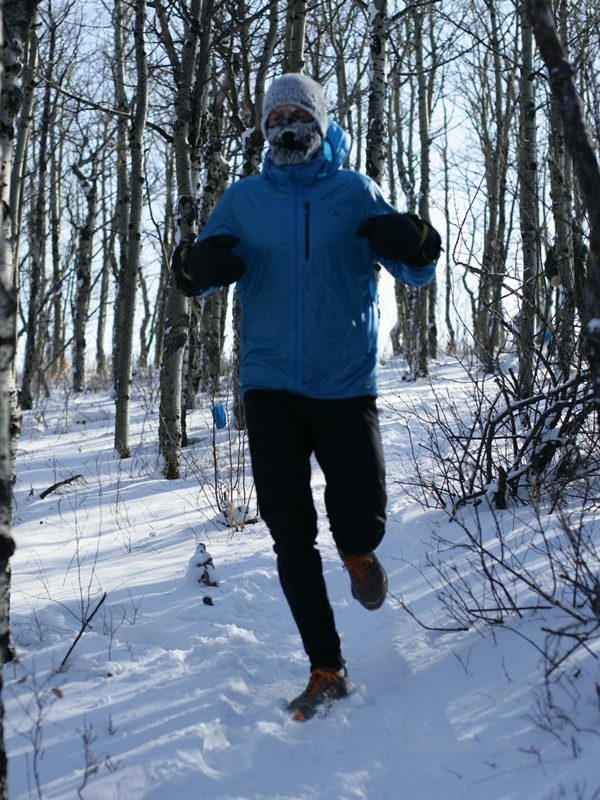 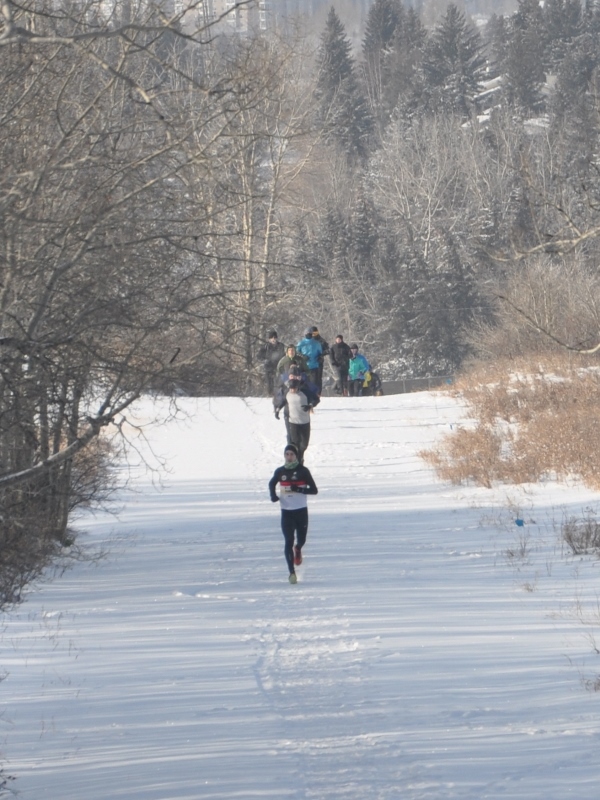 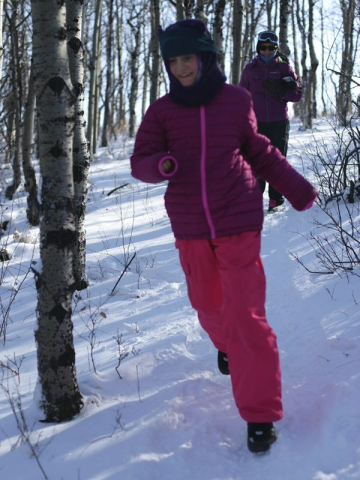 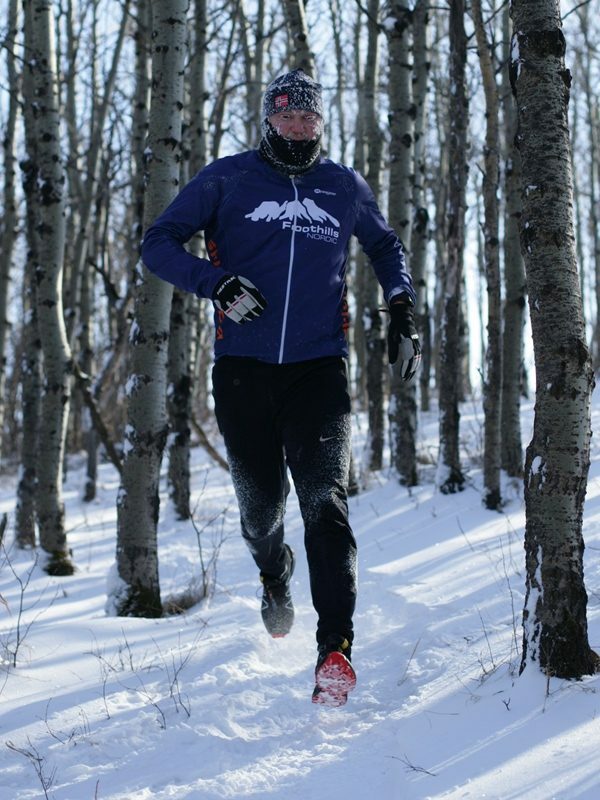 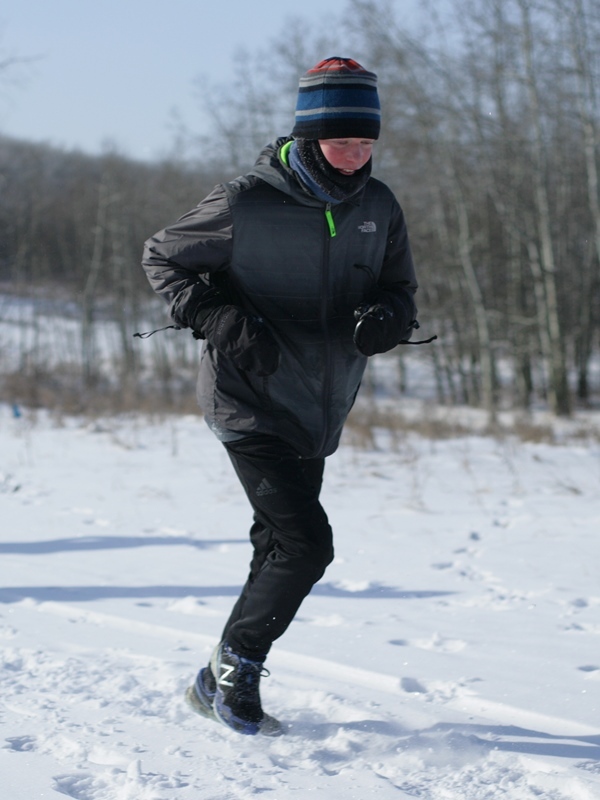 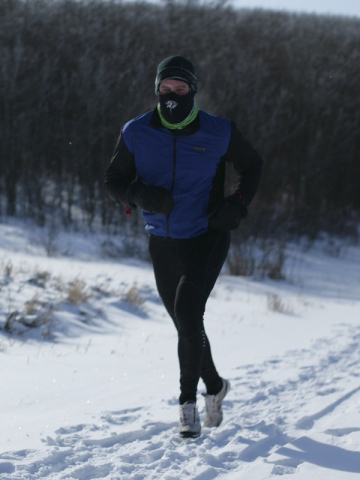 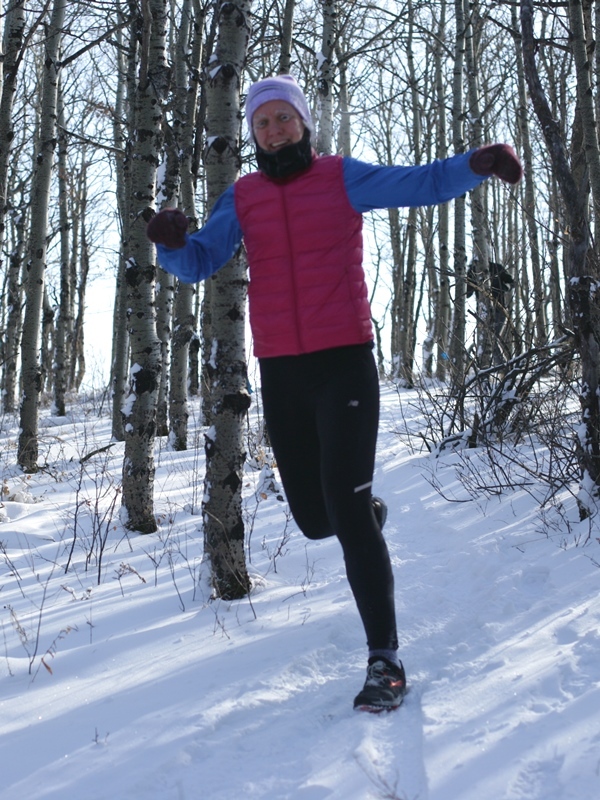 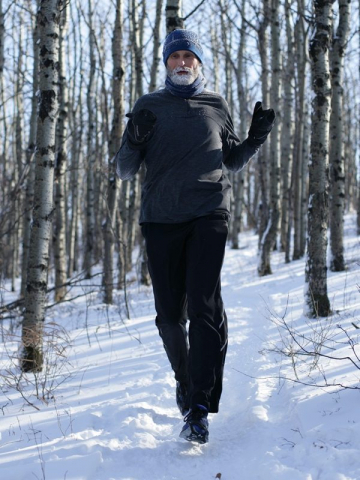 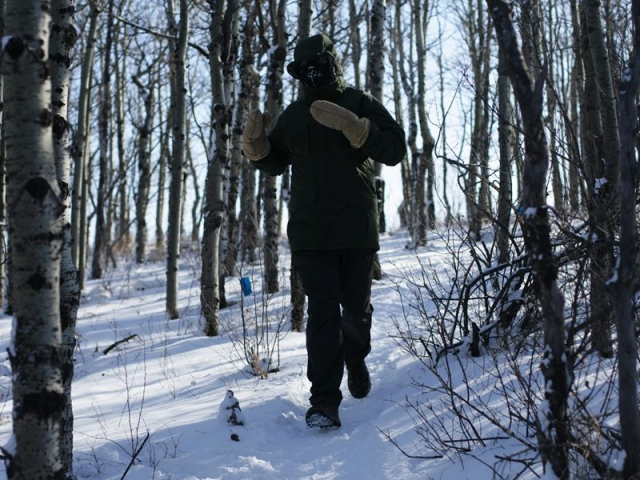 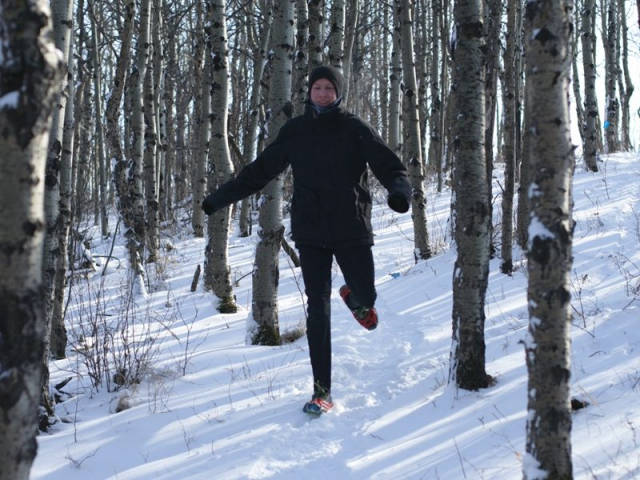 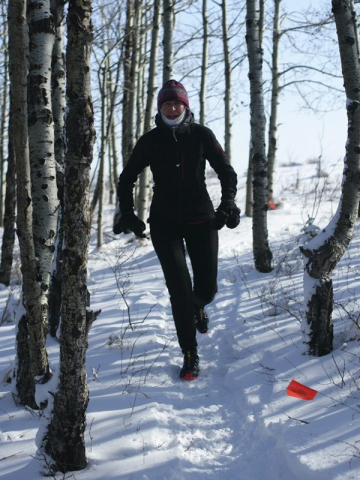 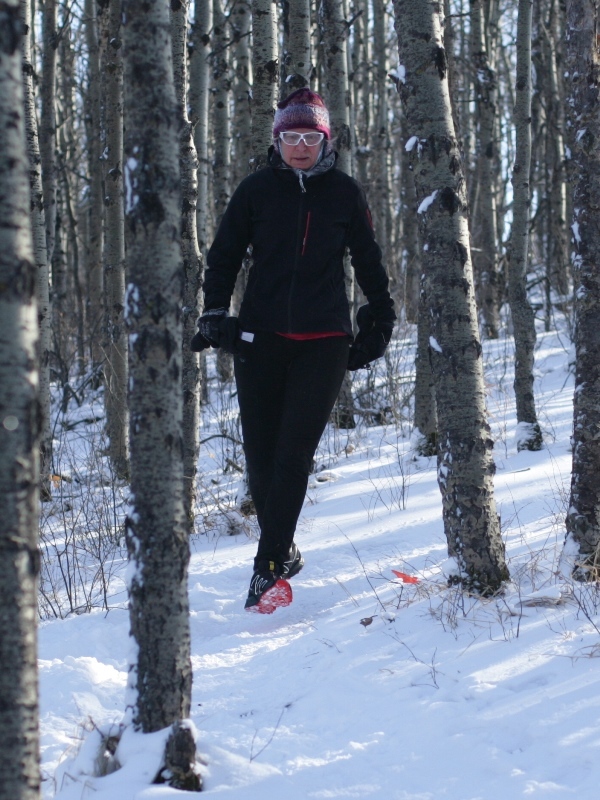 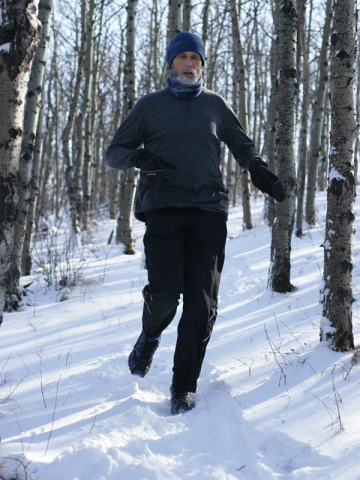 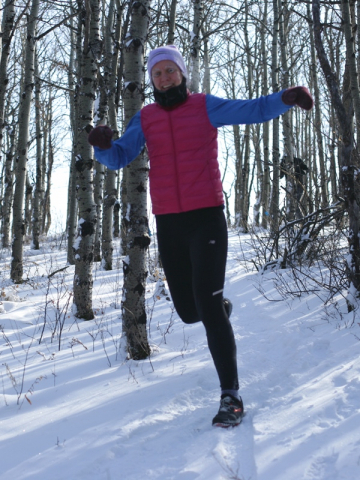 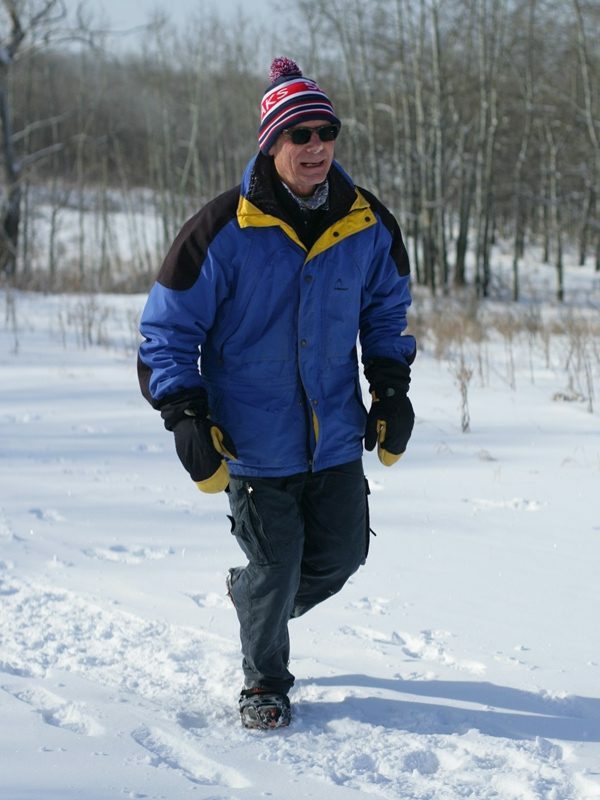 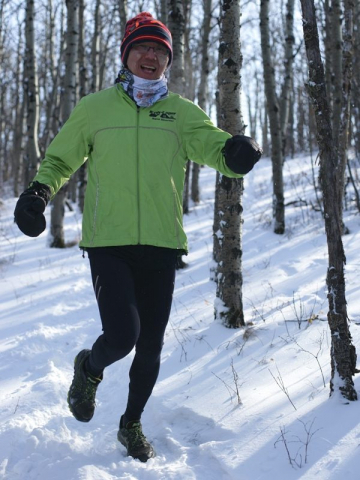 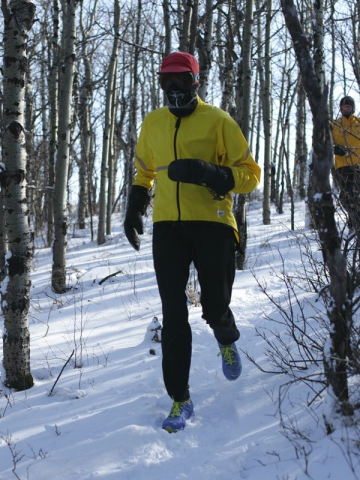 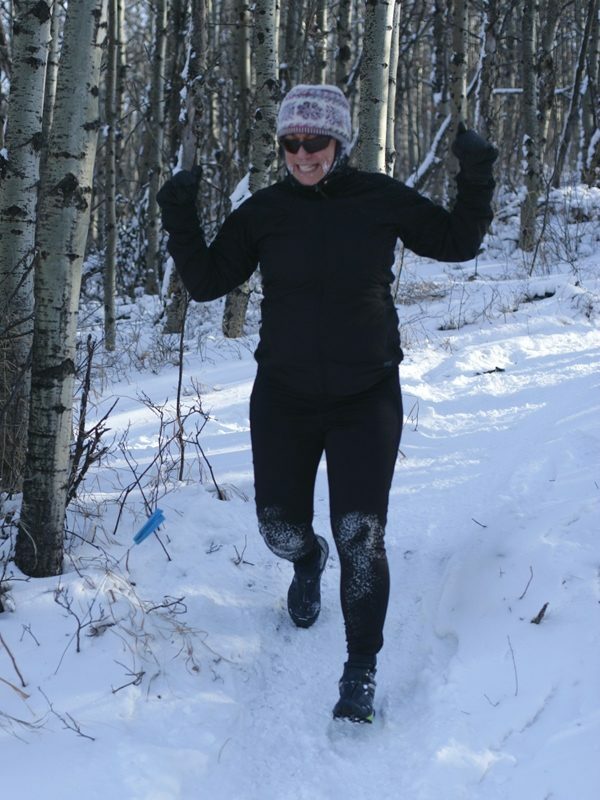 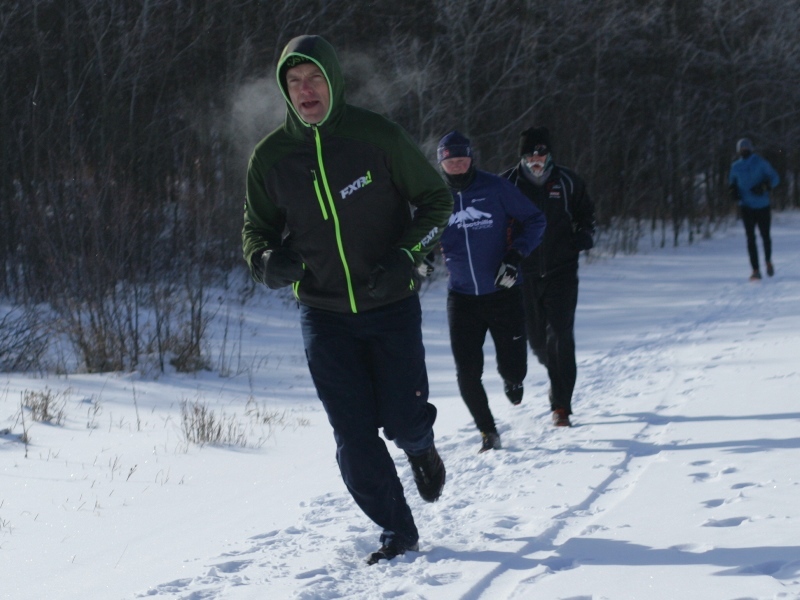 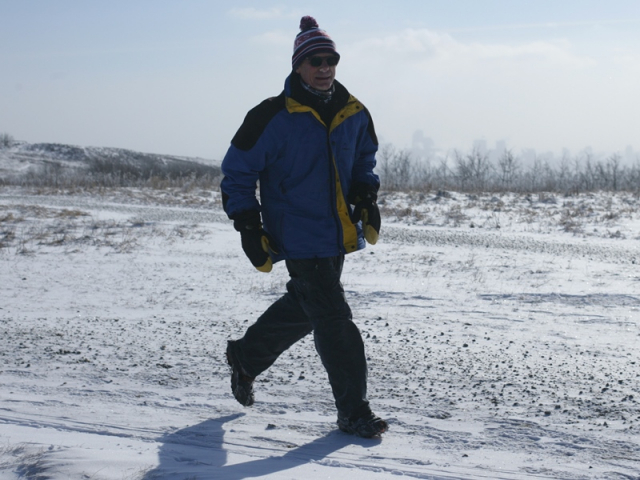 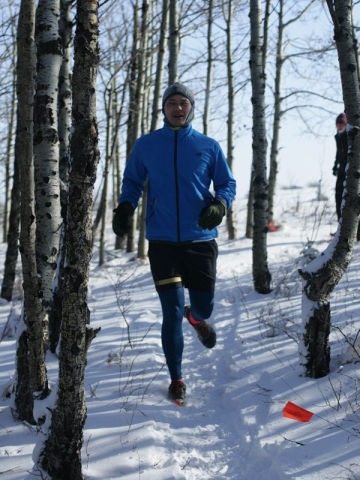 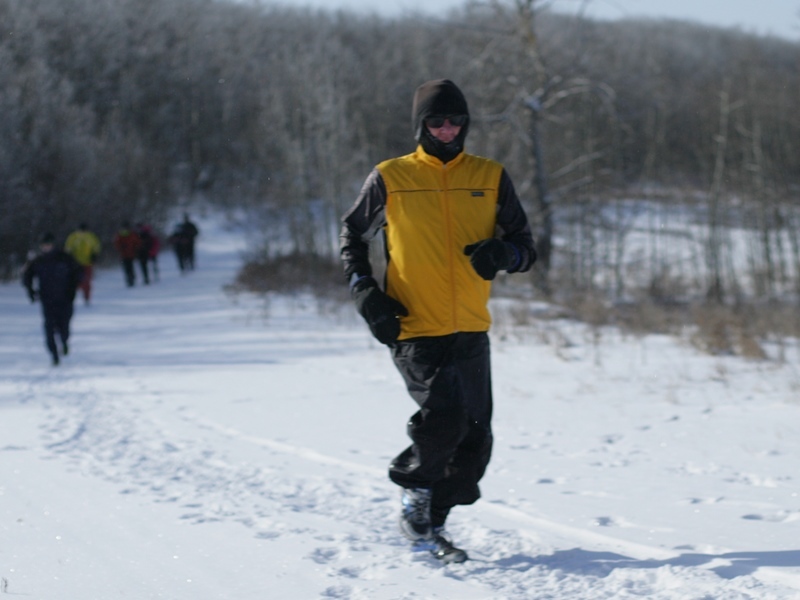 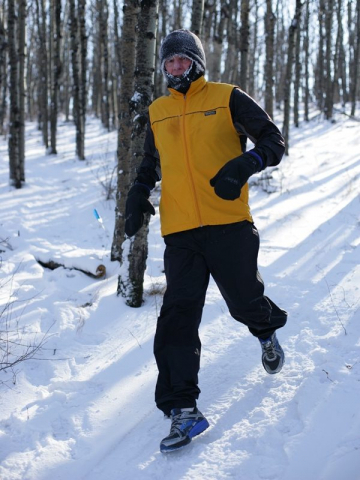 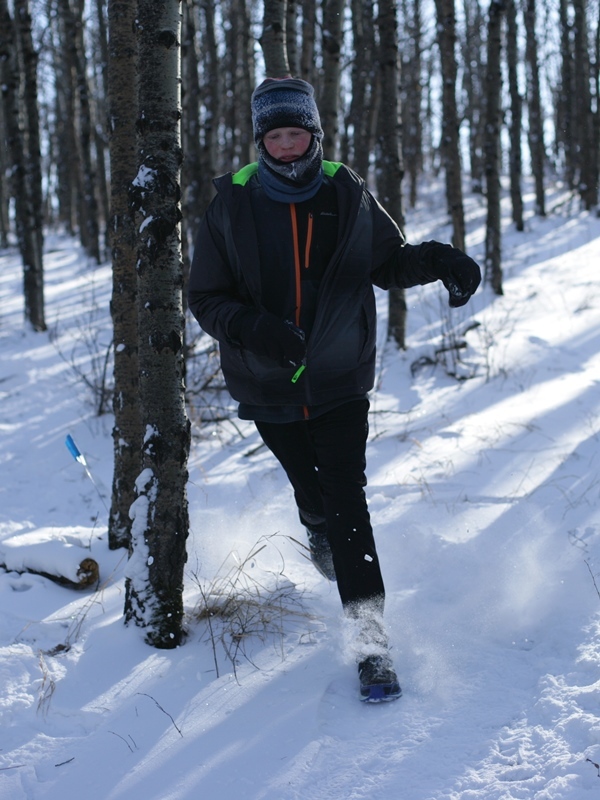 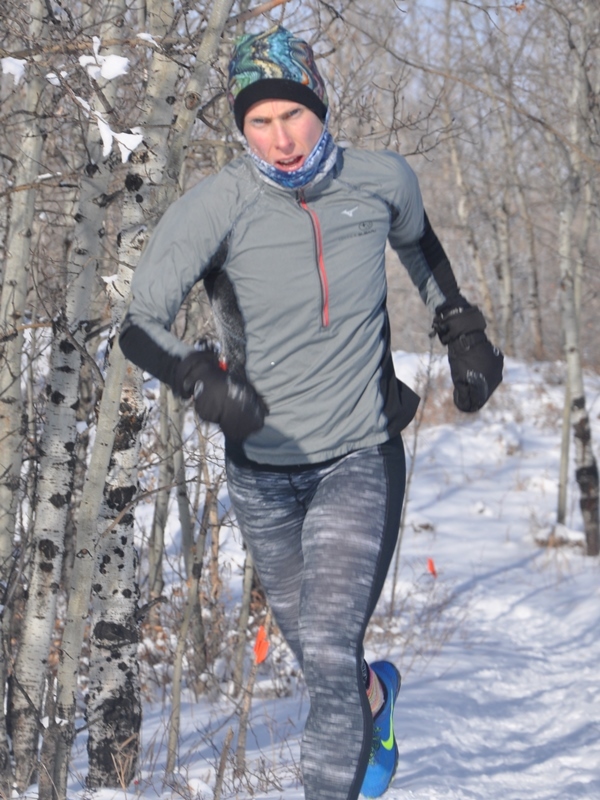 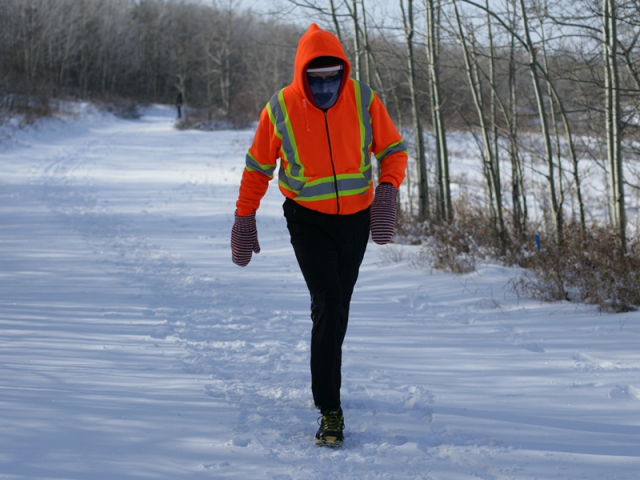 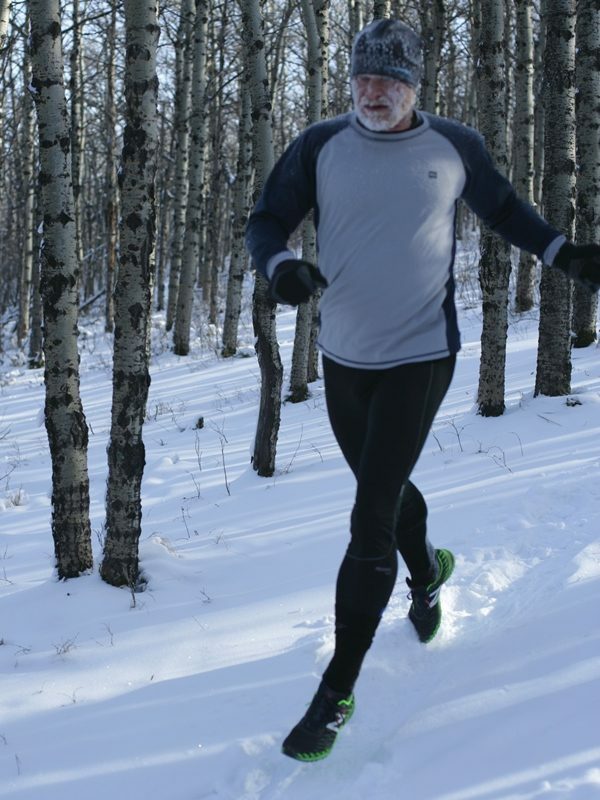 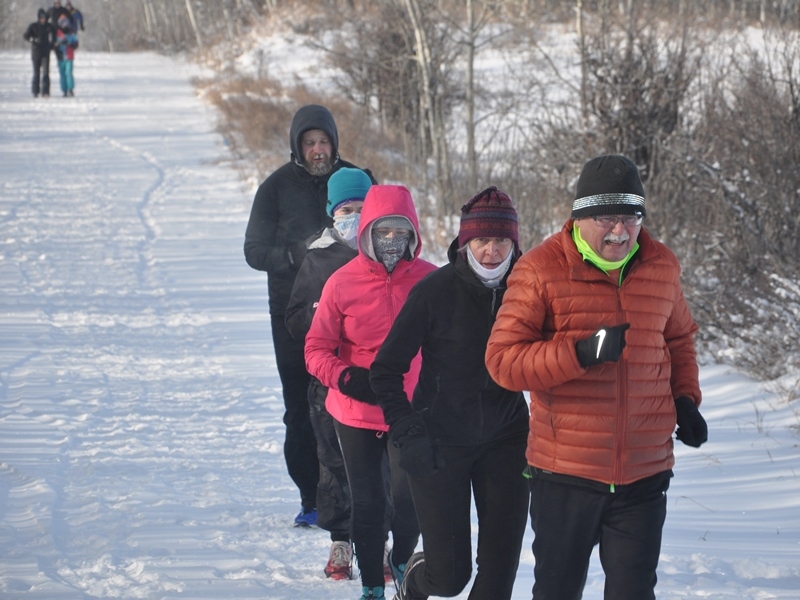 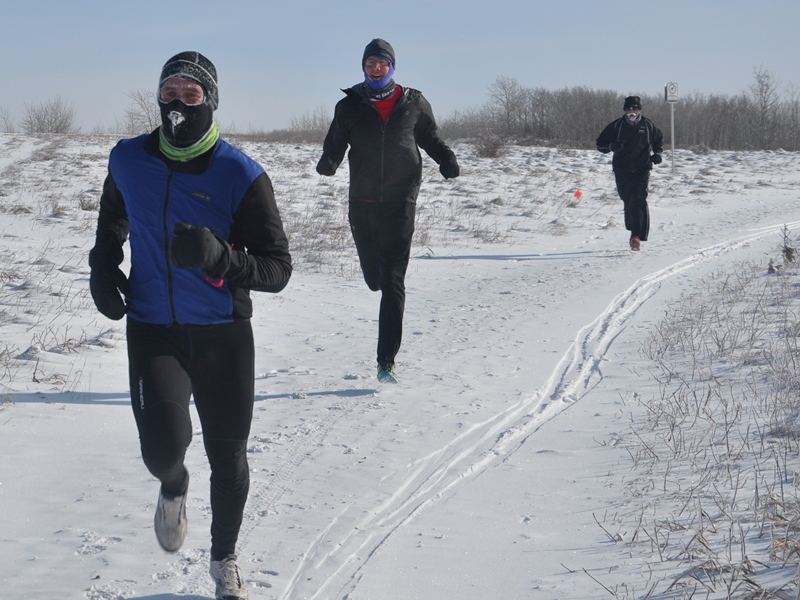 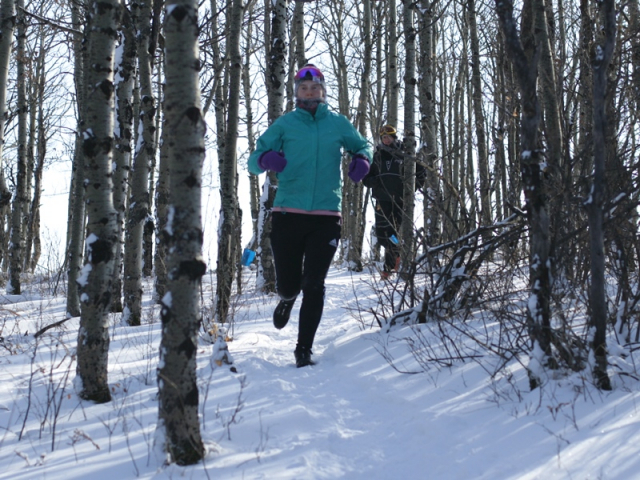 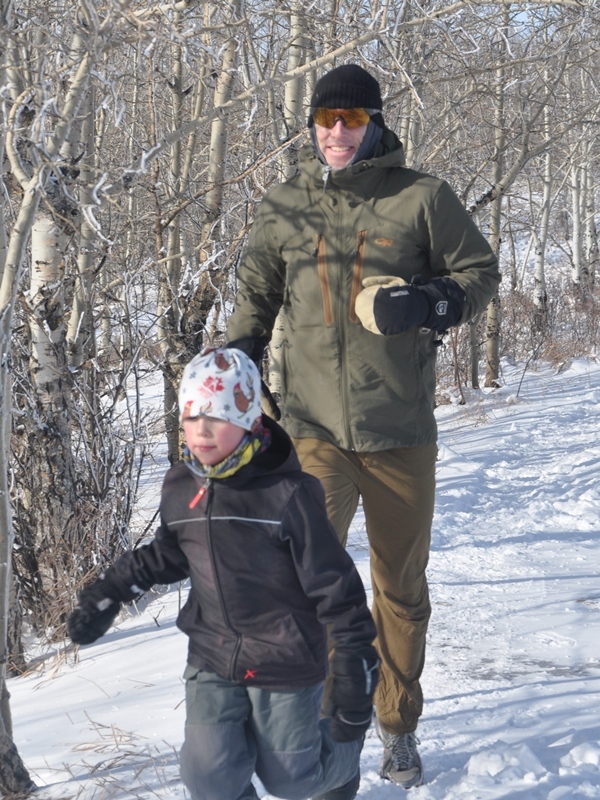 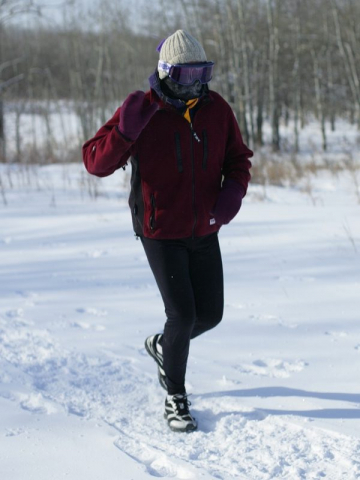 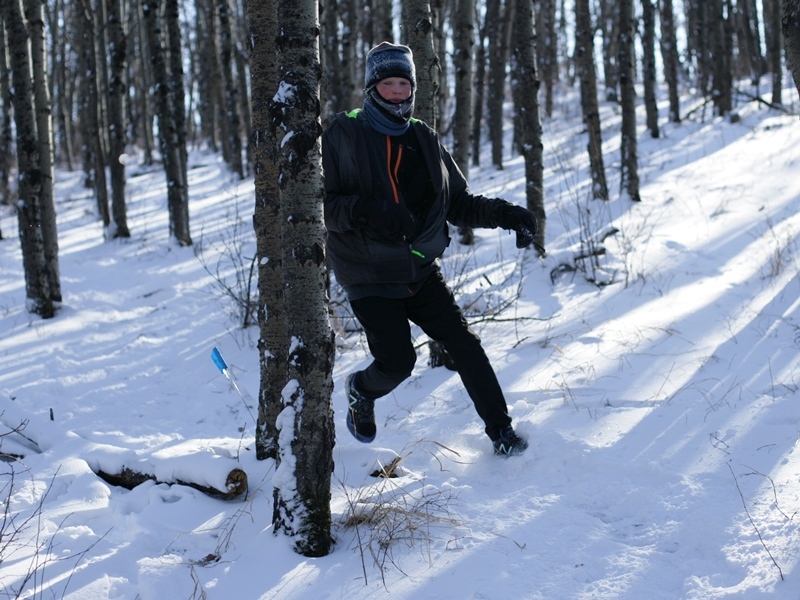 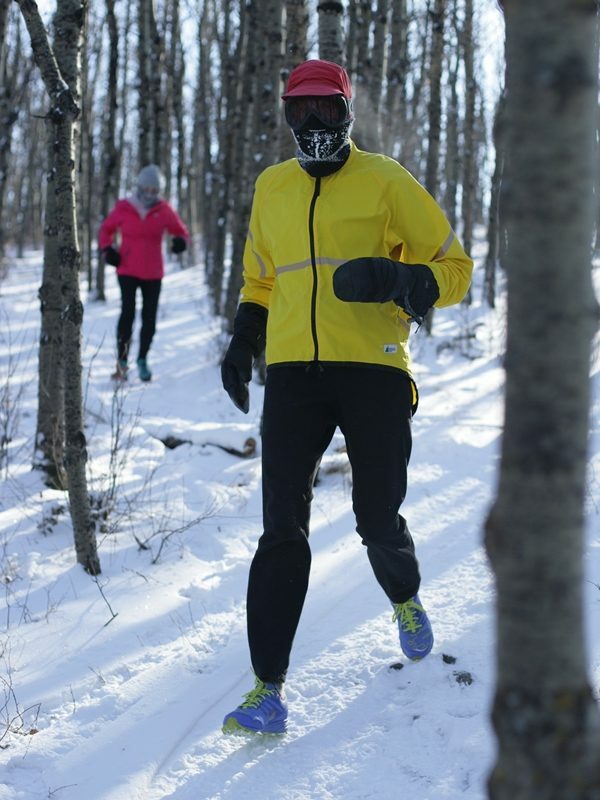 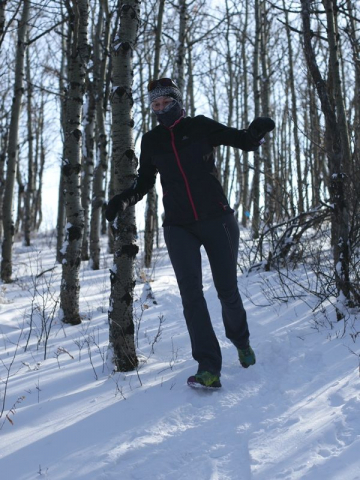 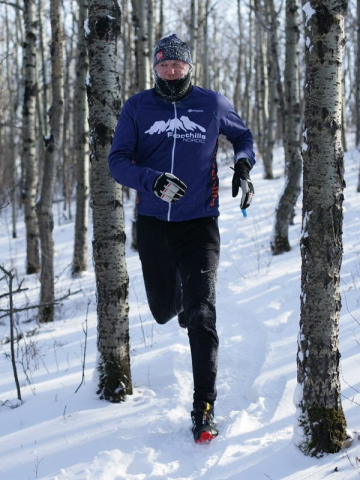 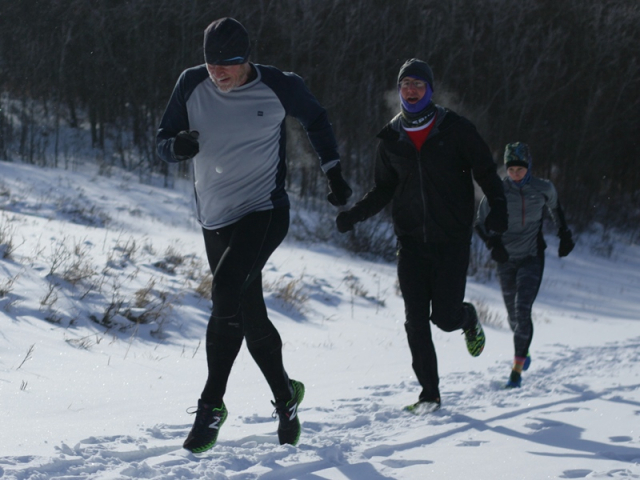 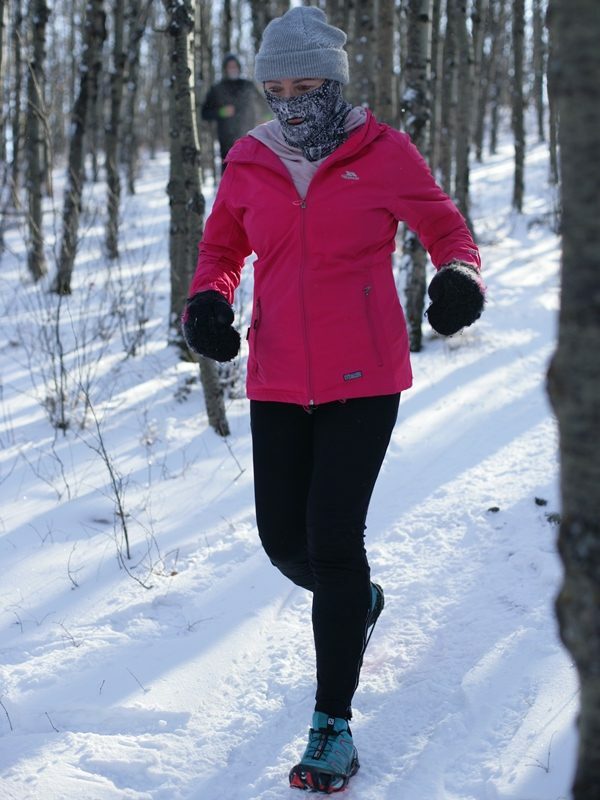 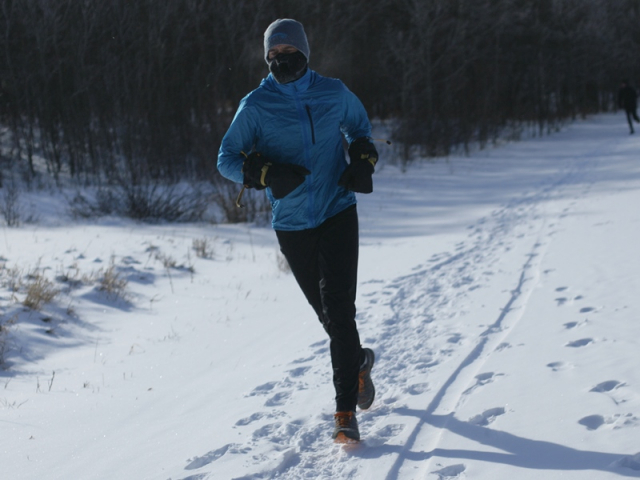 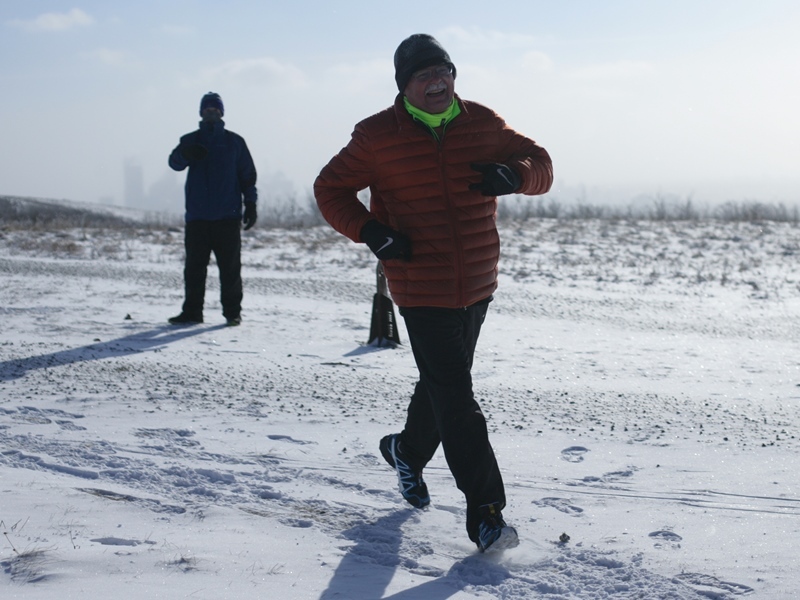 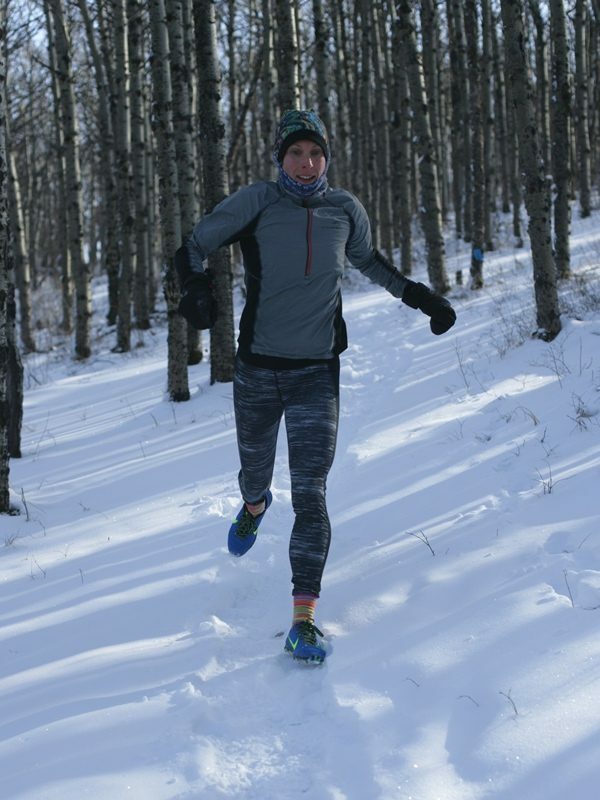 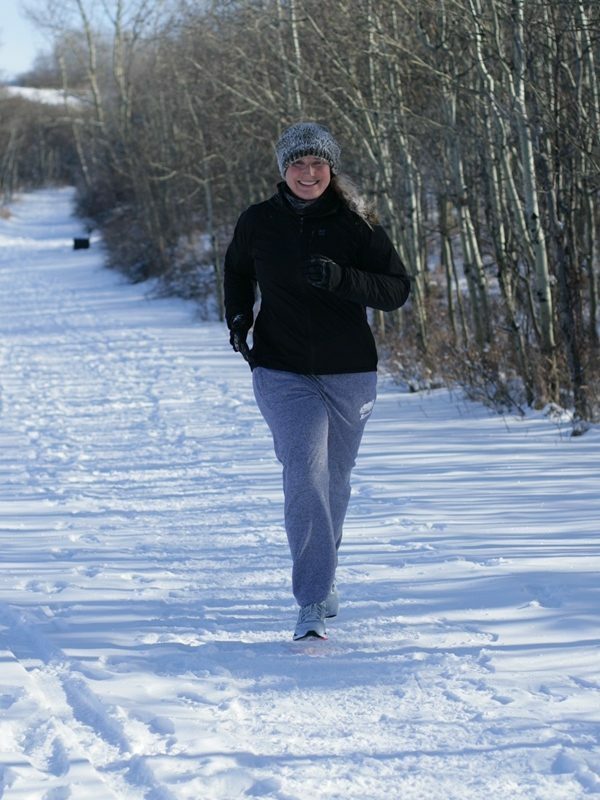 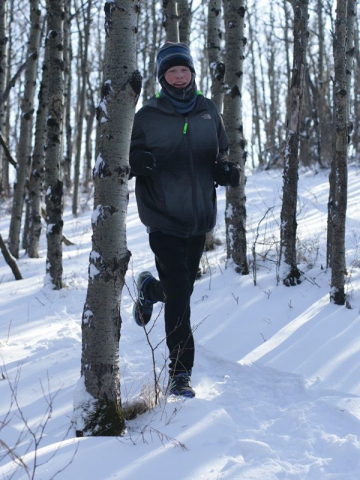 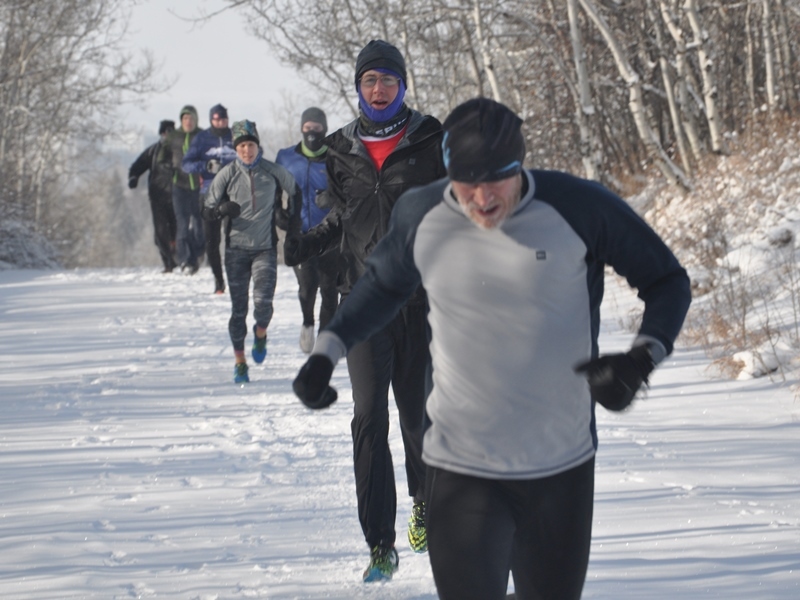 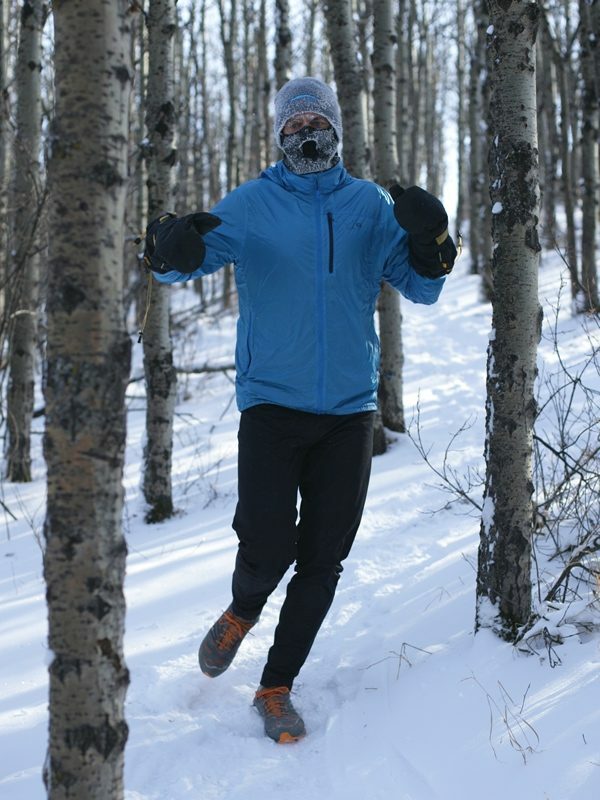 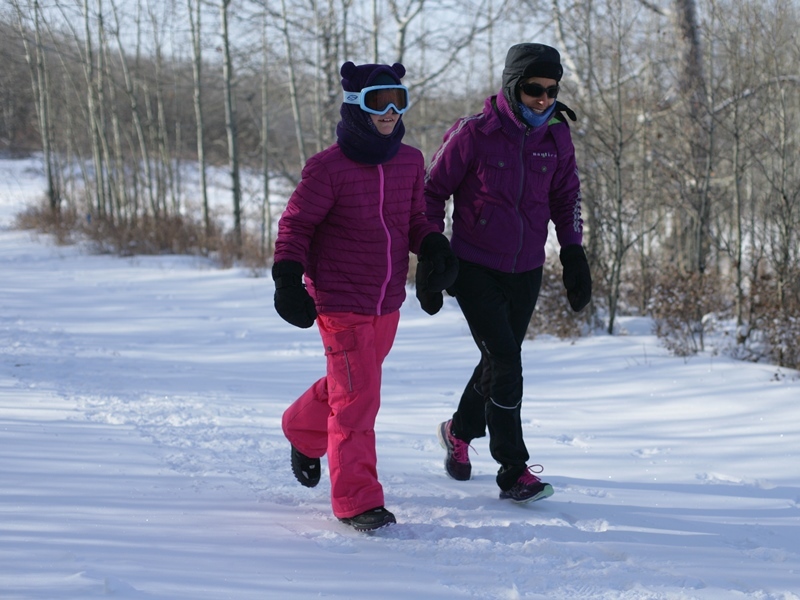 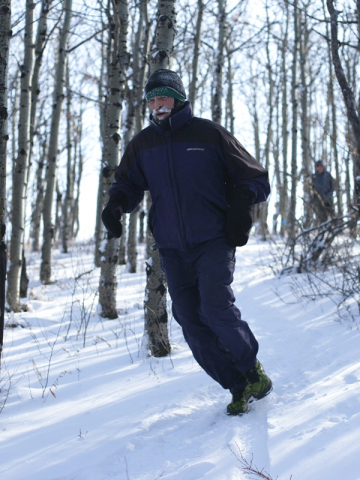 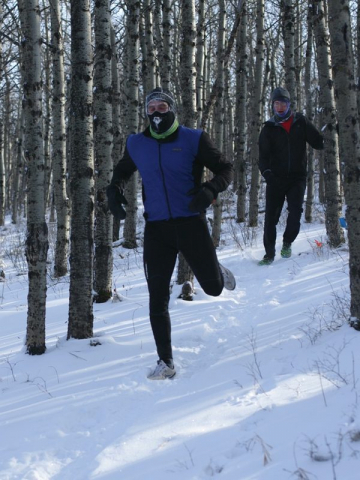 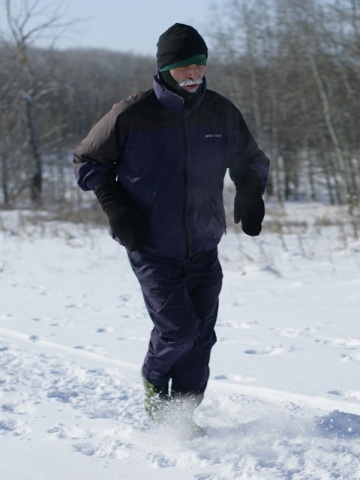 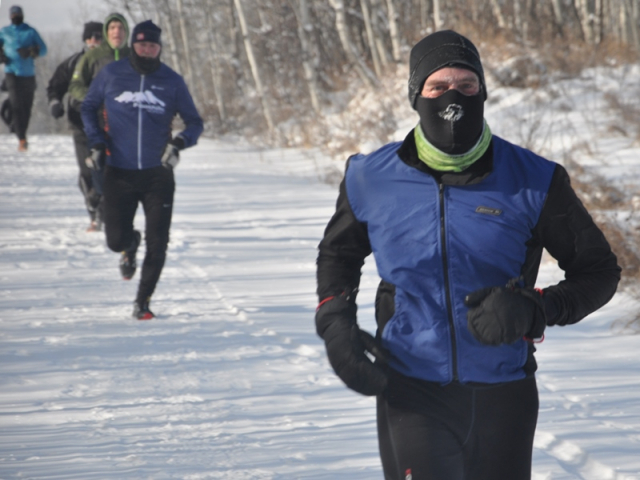 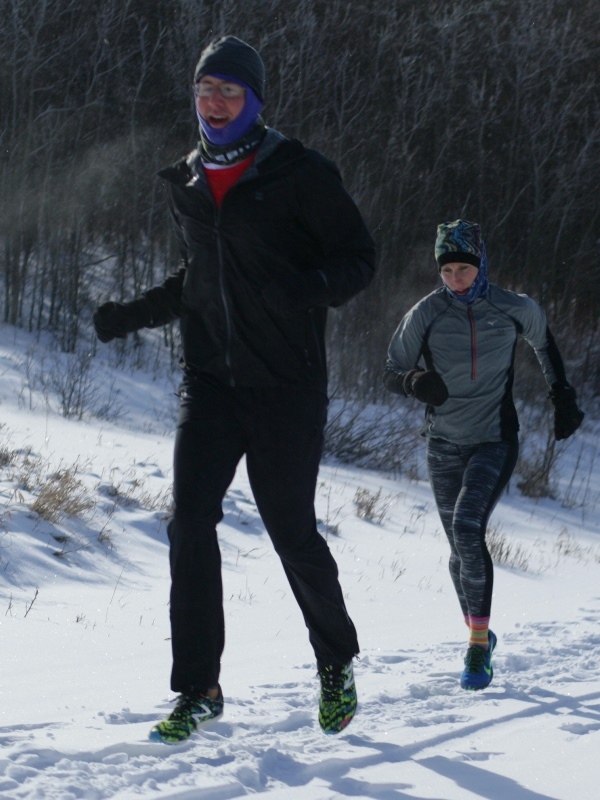 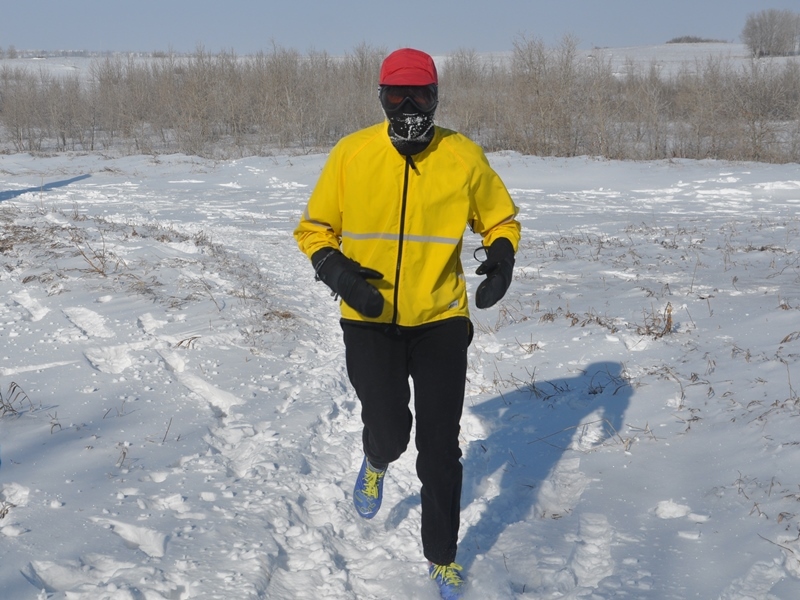 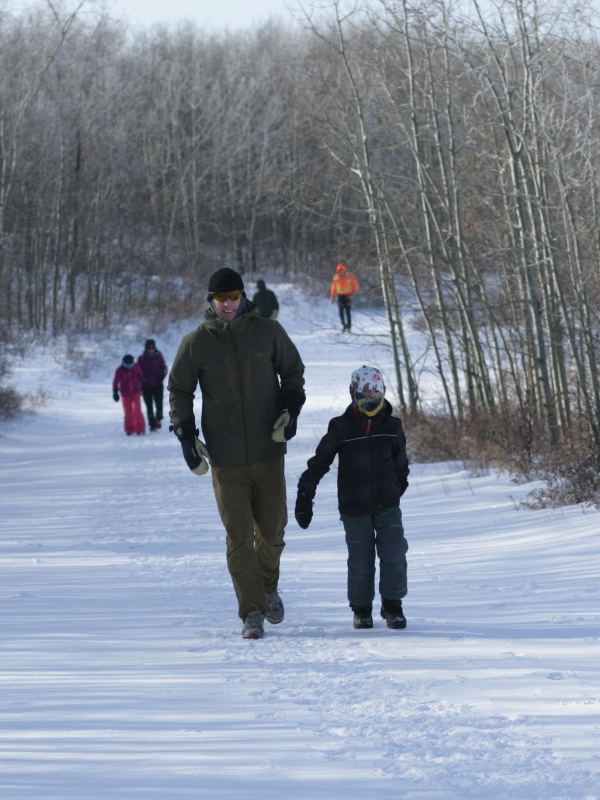 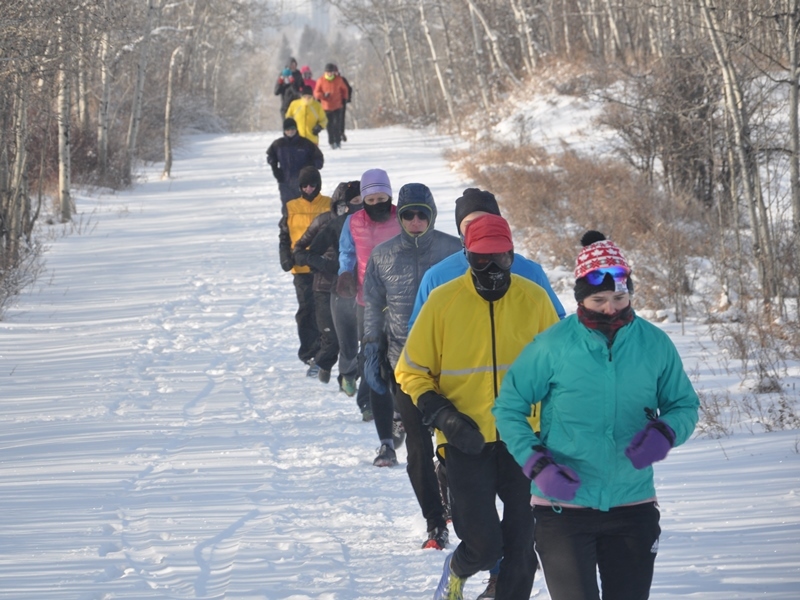 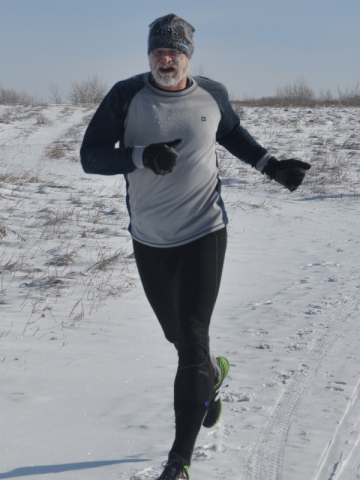 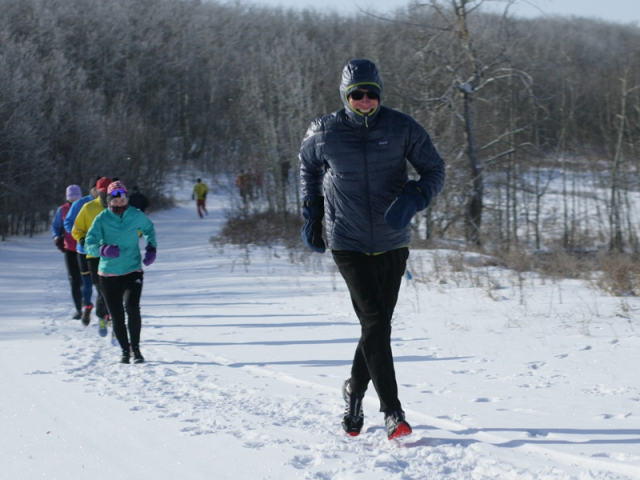 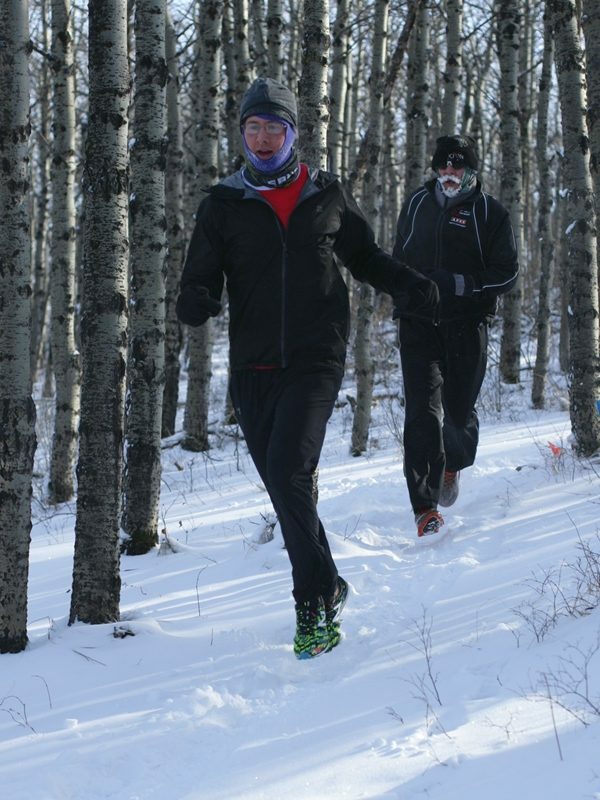 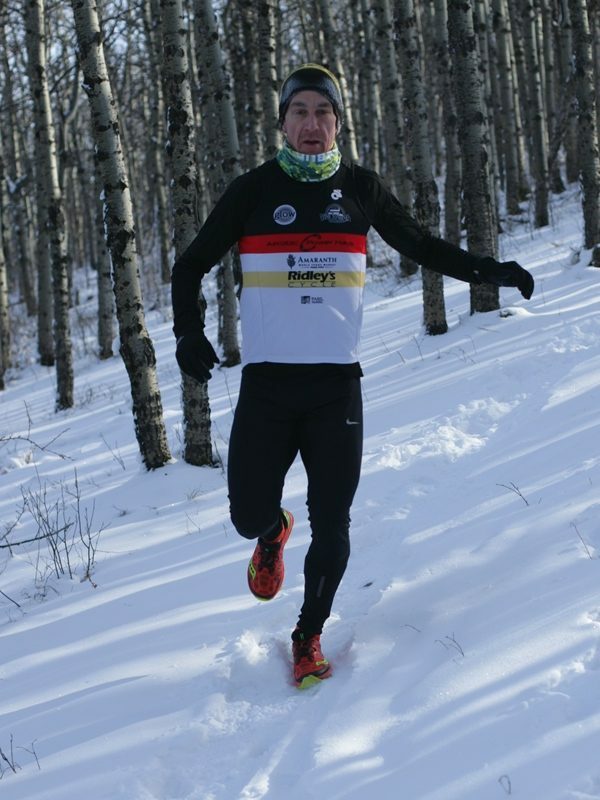 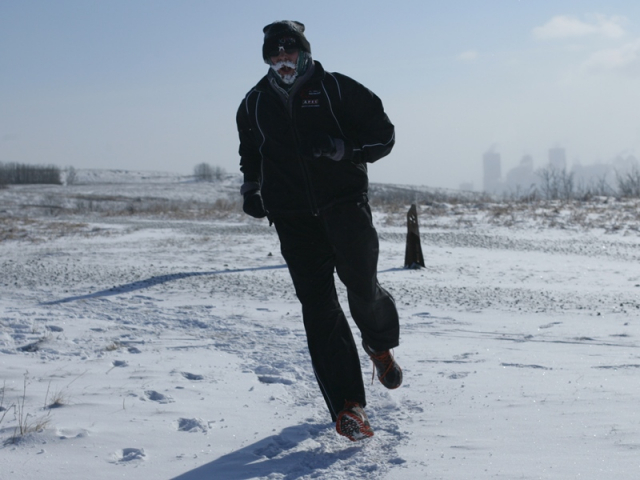 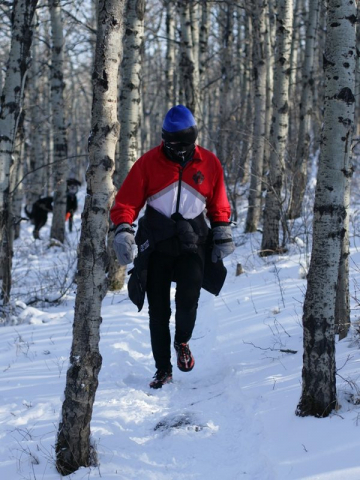 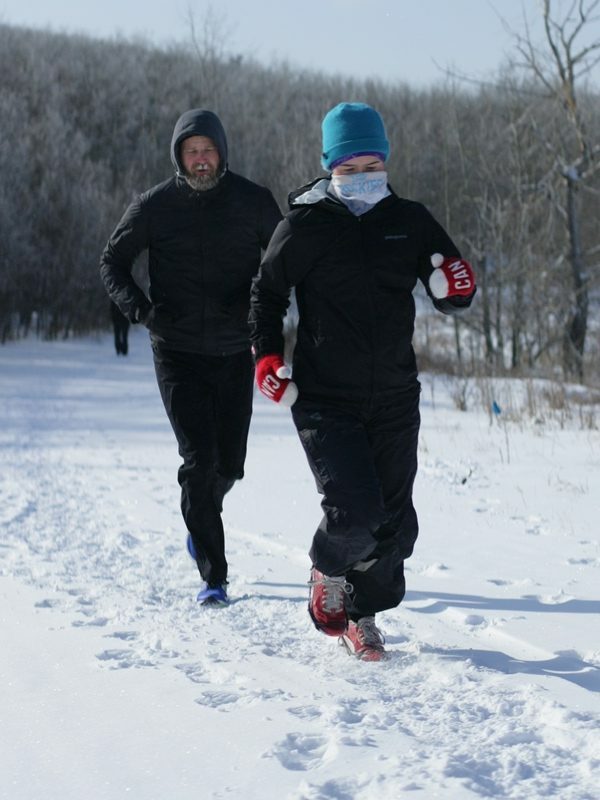 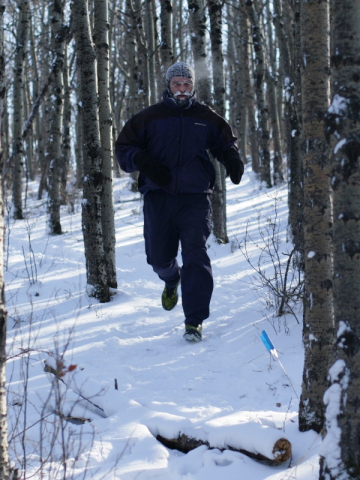 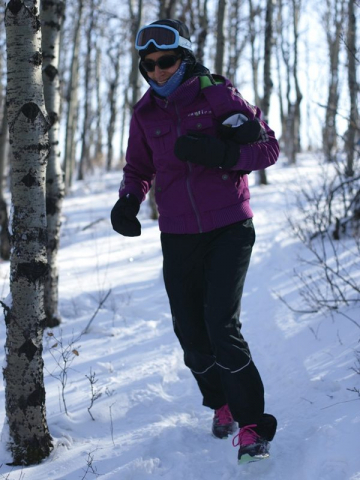 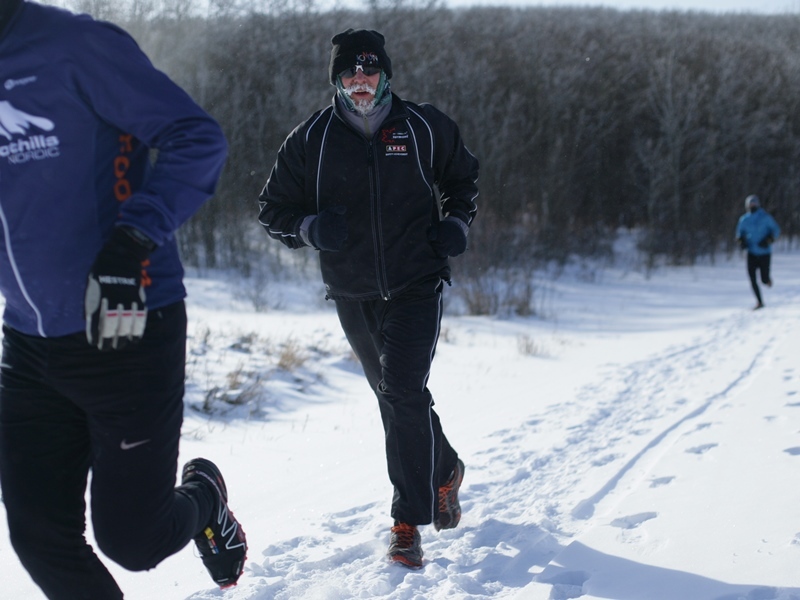 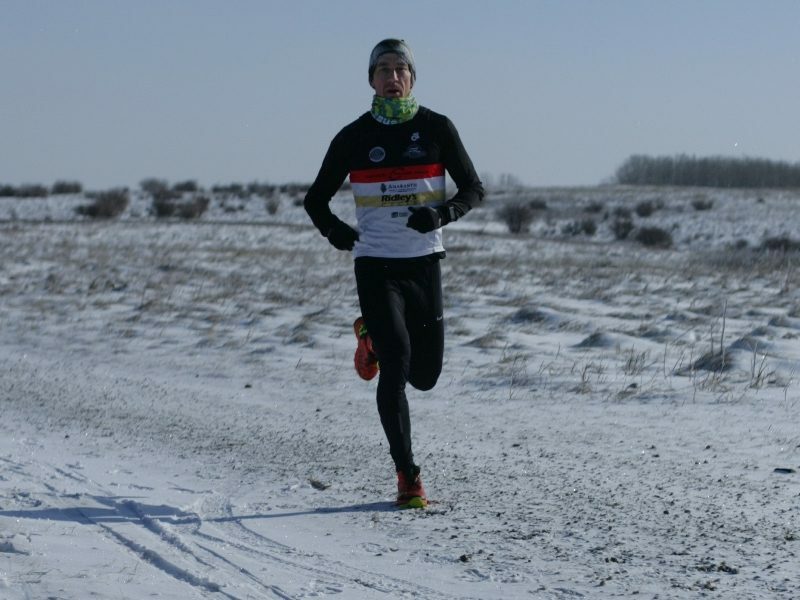 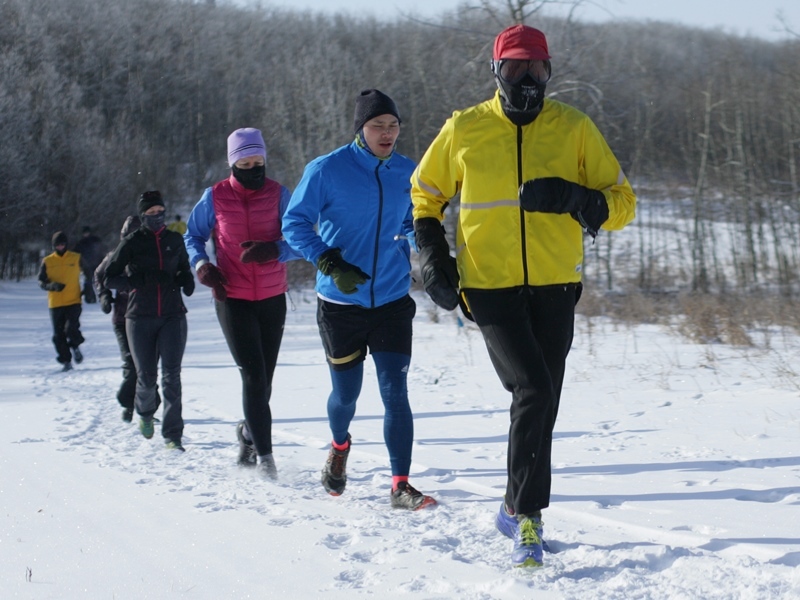 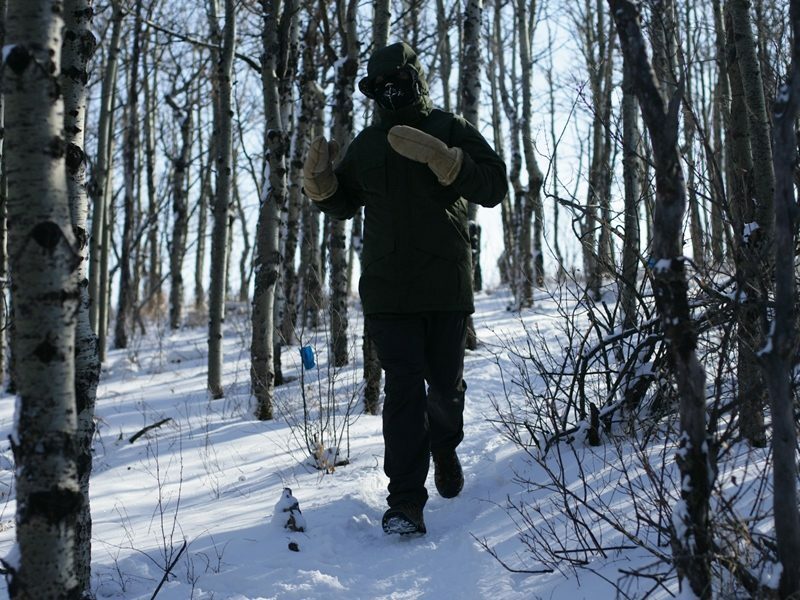 The 8 km course climbs to the top of Nose Hill and then follows undulating trails of picturesque Nose Hill Park. The 4 km Fun Run will follow the same trail as the first portion of the 8 km race. 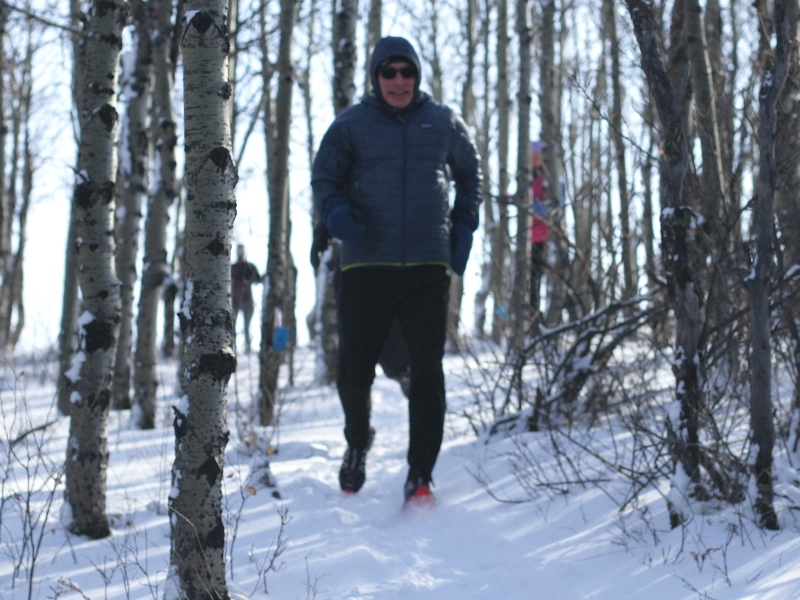 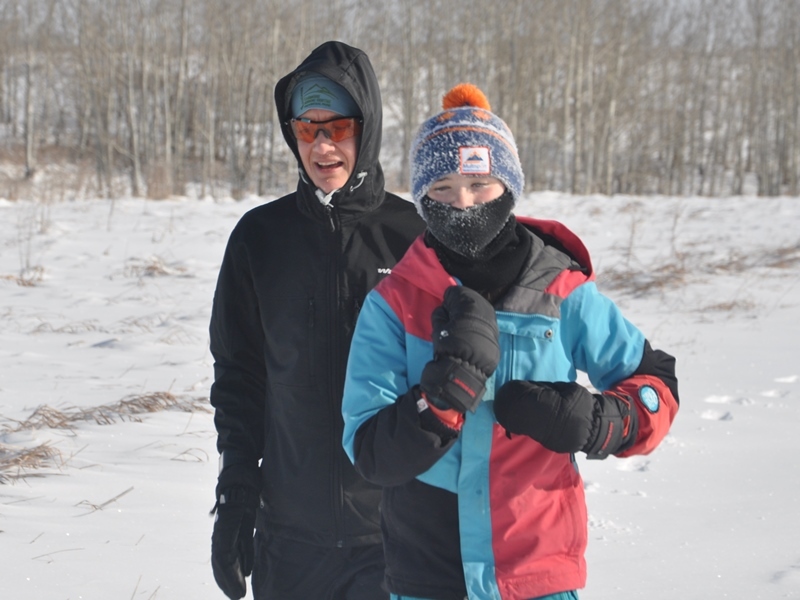 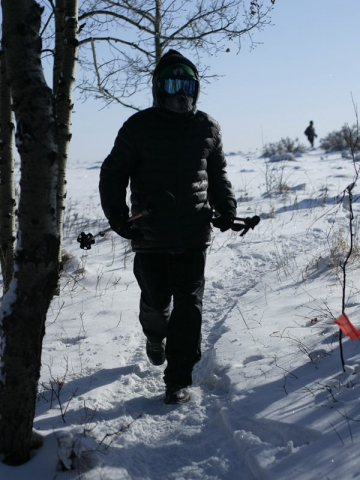 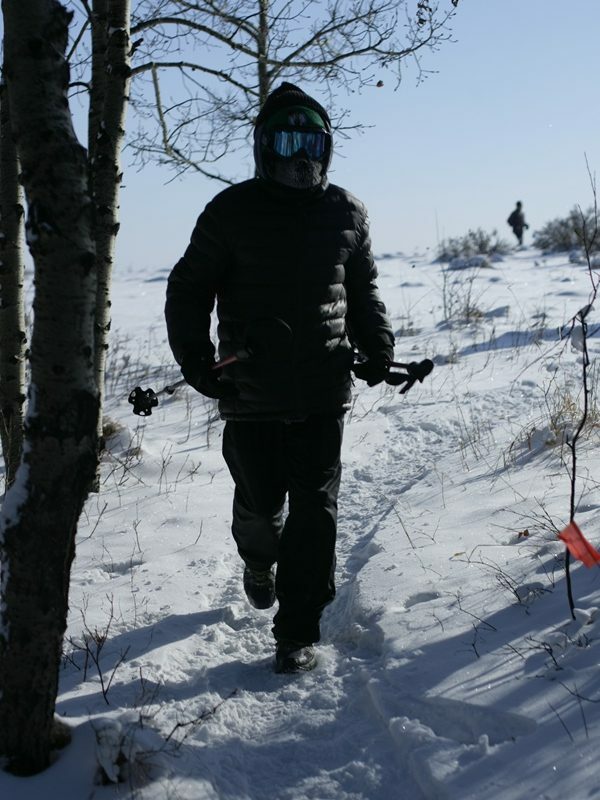 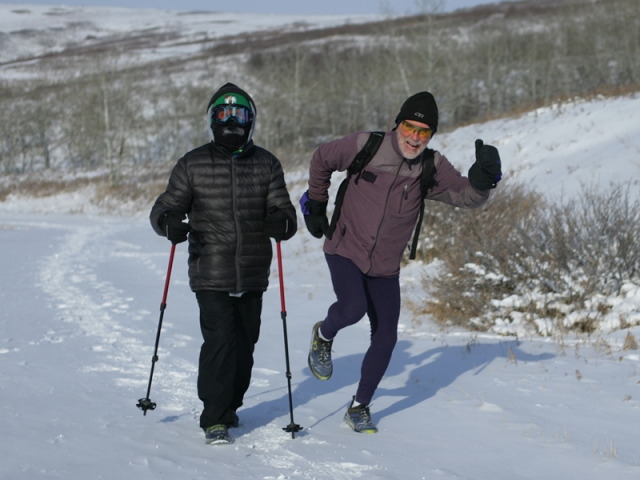 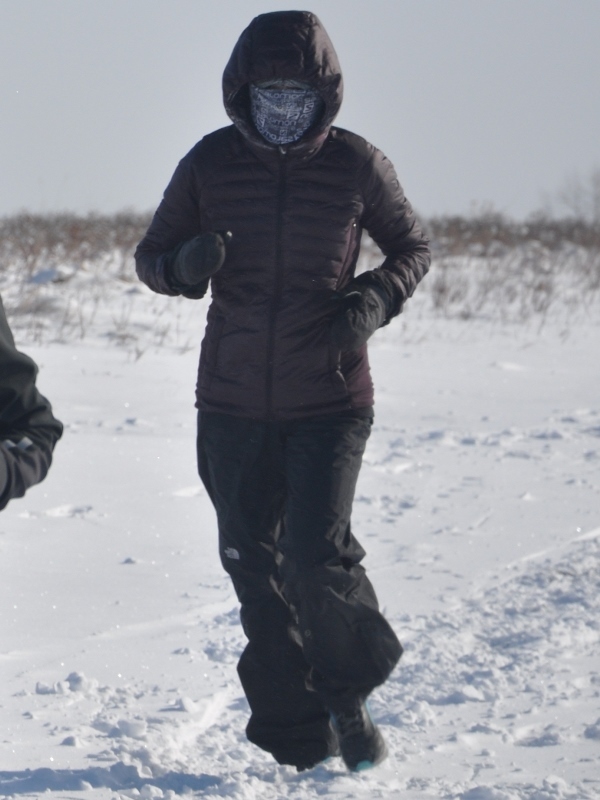 Depending on the weather prior to race day, the course may present hazards, such as exposed rocks, mud, snow, icy patches and hidden gopher holes. 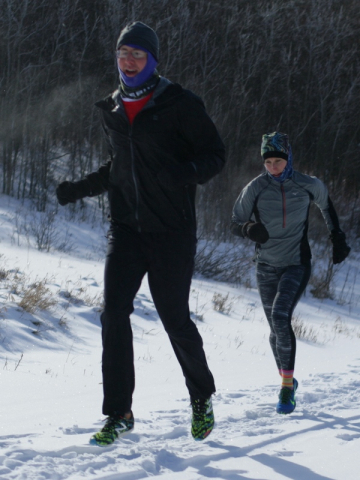 Spikes or shoes with a good tread are a must. 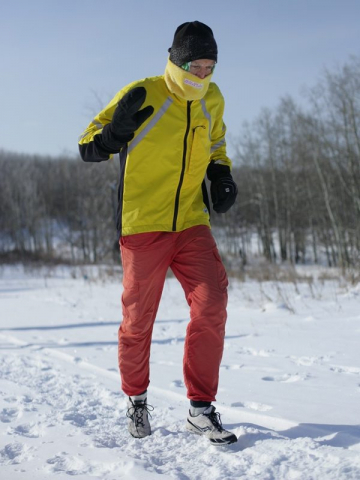 Portable music players can impair your ability to hear the voice of an overtaking runner or instructions from the course marshals. 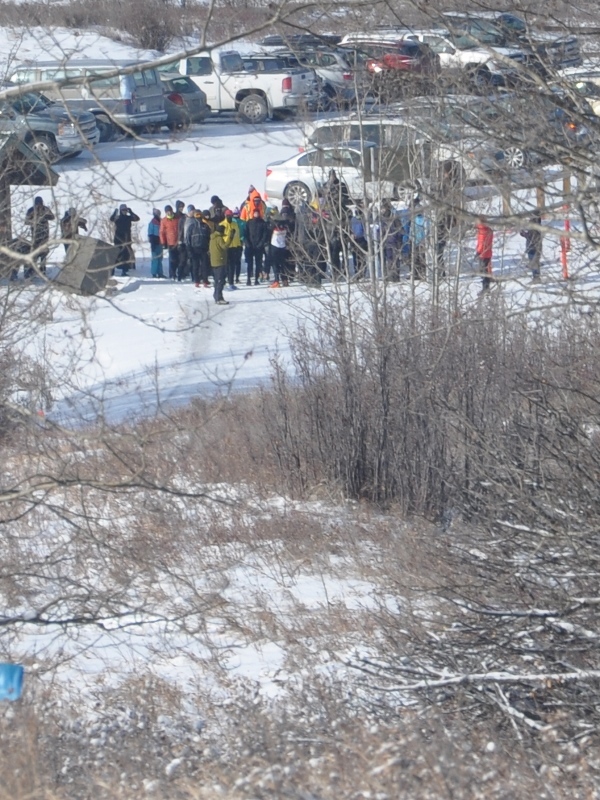 Race registration at the race start. 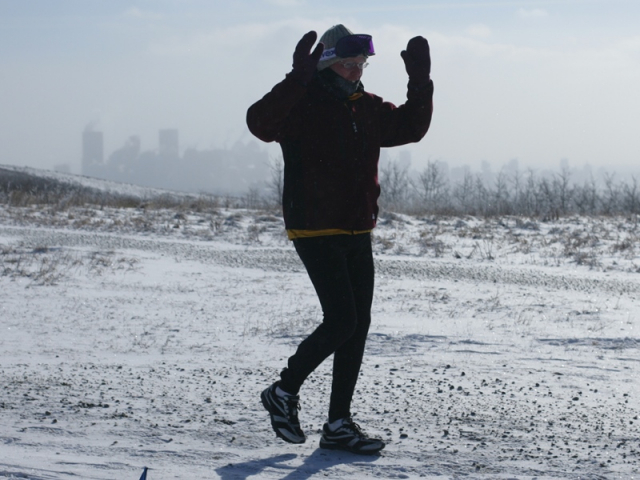 Brisebois Dr. & John Laurie Blvd entrance to Nose Hill Park. 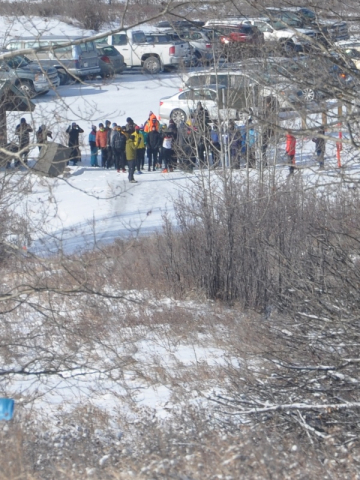 Very limited parking should be used only by race volunteers. 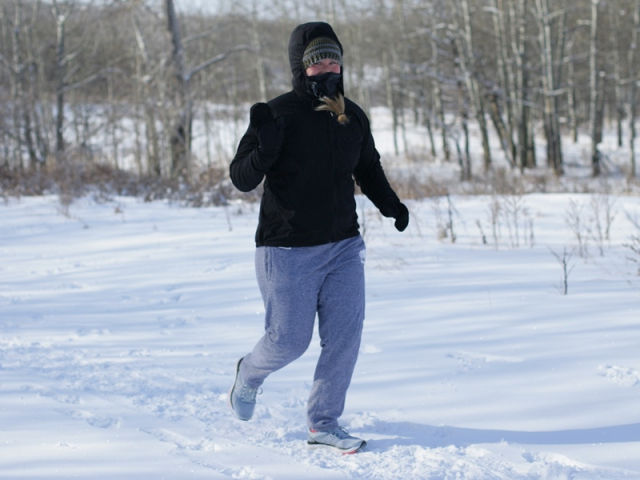 Convenient access to the pedestrian bridge is available if you park around the perimeter of Conrad Park, on Conrad Dr or Conrad Crescent NW. 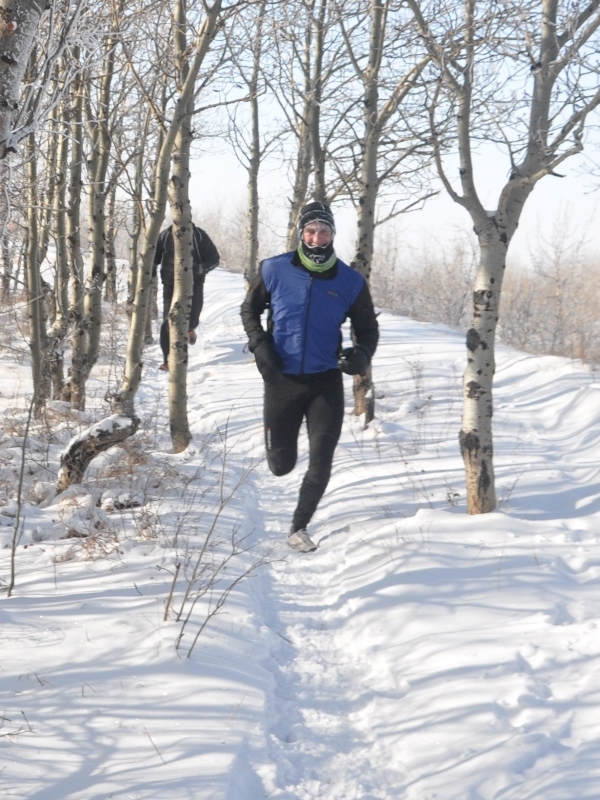 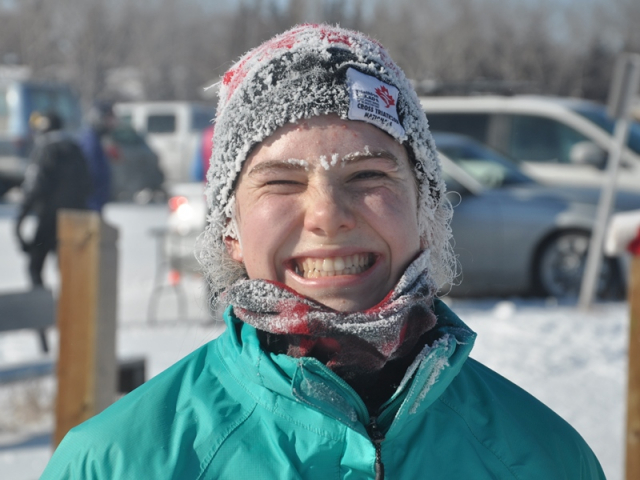 Register on race day at the start 10:45 & 11:30 am at the Nose Hill Park Brisebois parking lot. 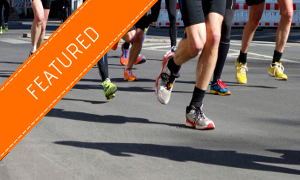 Please arrive early so we can start the race on time! 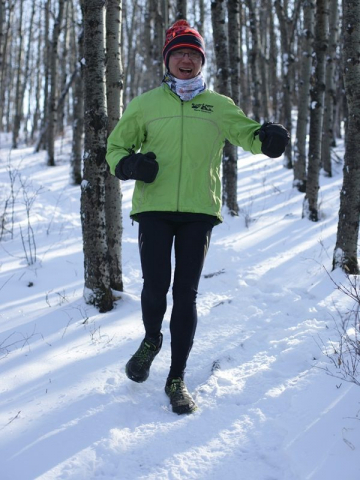 Post race meal will be served at the Triwood hall 2244 Chicoutimi Dr NW. Hot soup, rolls and beverages provided. 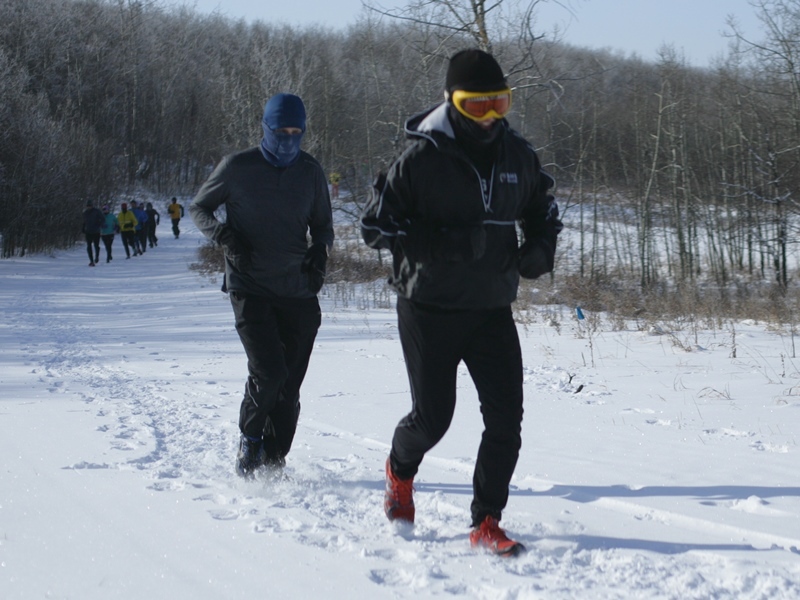 Please bring a dessert to share with race participants. Bring your own mug, bowl & spoon to help reduce waste. We couldn’t put on this race without volunteers. 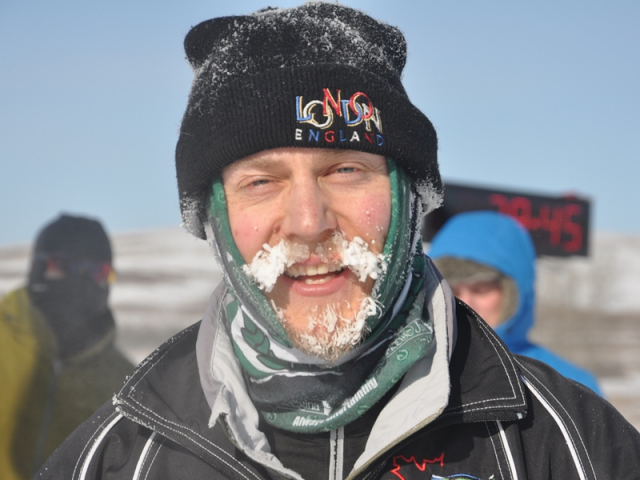 Please contact the race director if you can make a soup, hand out numbered sticks at the finish or volunteer as a course marshal. Thanks!